ANSWER: Money is simply the medium of exchange and a unit of account. It is not a tangible asset that always retains value and never has been. It fluctuates in value rising in depression and falling in purchasing power. When gold was “money” it rose with economic declines and declined in value with inflation. It acted no different! Anyone who keeps saying this nonsense that money must be “tangible” and never lose its value is trying to eliminate the business cycle as did Karl Marx and that is communism. Get over it. Understand you cannot have your house rise in value yet “money” still retain some mythical tangible wealth. Perhaps in the land of OZ, but there in no such historical period that anyone can point to. While you have waited for this TANGIBLE rectification, in 1980 gold was $875 and the Dow was 1,000. The Dow rallied to almost 16,000 and gold could not exceed $2,000. It would seem to a reasonable person that 33 years is a long time to keep saying you will be right while refraining from investing. If you bought Detroit bonds in 1930 because “government debt” was safe compared to the risky stock market, when they suspended all payments, yes they eventually made good in current dollars only in 1963. If you were 60, that was 33 years to waiting and you still lost due to inflation. 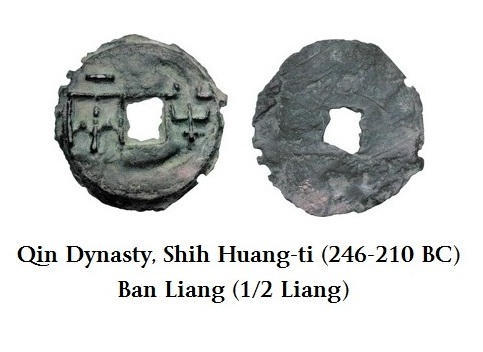 China had intangible money for thousands of years. In Europe, they may have used tangible objects for money but that means nothing. WEALTH is measured in money. It is NOT money. Nobody in their right mind would hold cash as an investment earning no interest. It depreciates in purchasing power over time regardless what it is. Explain how China used paper money from the 13th century and even when the Mongols seized the Chinese Empire, they accepted the paper money that already was circulating without devaluation. Explain how Egypt had warehouse deposit receipts for grain that circulated as money for thousands of years until Alexander the Great conquered Egypt and introduced coins? REAL money defined as the productive capacity of a person is simply that. You work and your productive labor is the real VALUE you exchange for the medium of exchange and accept whatever it might be ONLY because someone else will accept that. We have intangible money right now. The actual paper currency is less than 10% of the money supply. You have bank statements that are simply electronic entries. REAL wealth is purely assets that can be real estate, stocks, or gold (since it is not money). You say Donald Trump is rich because you see all the buildings with his name. You do not see MONEY for that is simply the unit of account by which we measure things like a yard-stick. Do not confuse assets with money. MONEY has always been intangible. The wealth of a nation is not its gold reserves, but its people and their total combined capacity to produce something of value be it agricultural, manufacturing, or services. That is whatever someone else is willing to pay for. The root monetary system is barter and that will always be the case. I will do this, if you do that. MONEY emerged like a language. If I wanted a cow you had and I had corn, we strike a deal as long as we both have what the other wants. When that does not happen, we now need a third party to enter the transaction and hopefully he has something you will take for the cow and he need my corn. MONEY became simply a medium of exchange. Something one person would accept ONLY because he knew others would accept it from him. That facilitated trade. Whatever that object might be as long as the majority accept it. Regardless what you think that money has to be gold, tell that to a kid buying coffee at Starbucks with his cell phone they scan. The world has changed. What use to be is no more. To say money has always been tangible is absurd – not true, and a great distortion of fact. What is the problem? If you keep this nonsense up spun by gold promoters, it is like saying this used car is better than that one because a little old lady drove it. Where’s the proof? 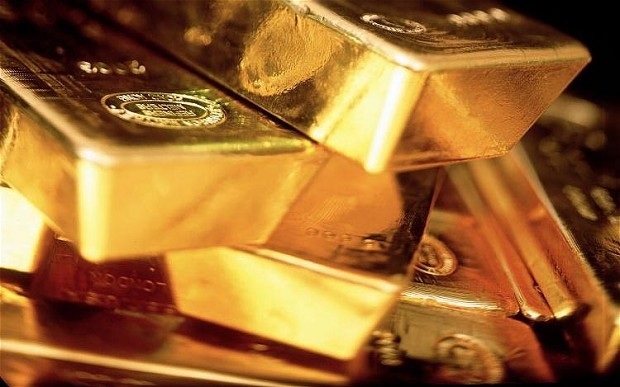 Gold will rise in value because it is an INVESTMENT – not because it is money. Keep believing this propaganda and you will lose everything. It is like the guy stand on the roof of his house in a flood. The water keeps rising and he is praying for God to save him. A large log comes floating buy and bumps into the house, but the man ignores it waiting for God to save him. Then two people come by in a row boat and say jump in. He says no, he is waiting for God to save him. Then a helicopter comes and throws a harness down but the man refuses and says he is waiting for God to save him. The water rises and man drowns. He then sees God and complains, I prayed and prayed for you to save me. Why did you ignore me.God says, I sent you a log, then a boat, then a helicopter. How stupid are you?